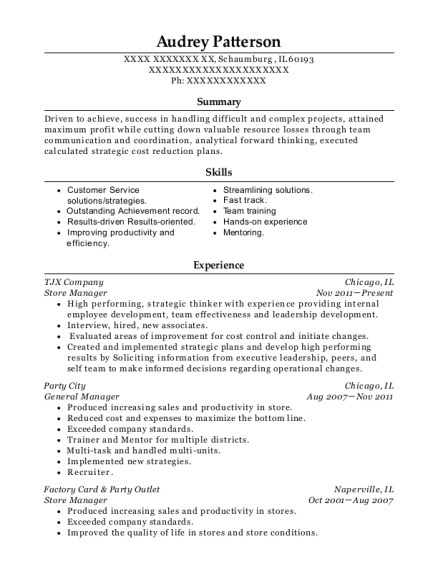 Accomplished and energetic Account Manager with a long and solid history of achieving targets and budgets Self motivated with strong organizational and prioritization skills. Identify prospective customers by regular visits to club, going to industry functions and attending trade shows and conferences. Resolve operational problems, such as theft and wastage, and establish procedures to alleviate these problems. * Prepare sales contracts and order forms. 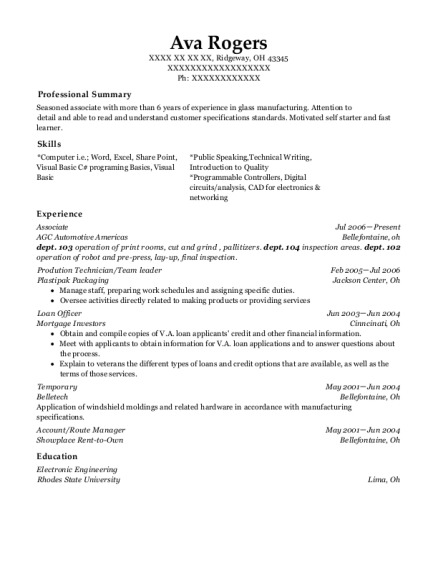 This is a resume for a New South Wales Account Executive in CONCHO, Oklahoma with experience working for such companies as Scientific Games and Pelicans Cafe and Bottle Shop. 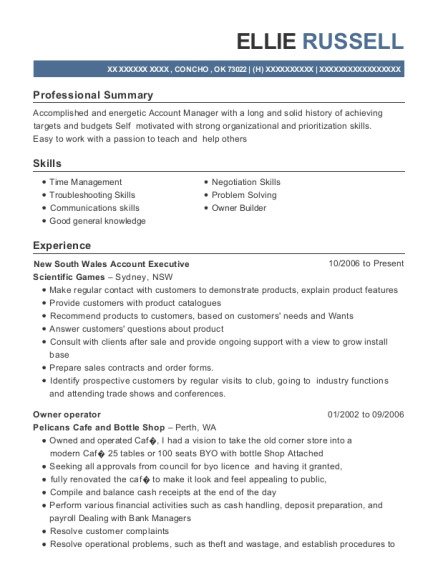 The grade for this resume is 0 and is one of hundreds of New South Wales Account Executive resumes available on our site for free. 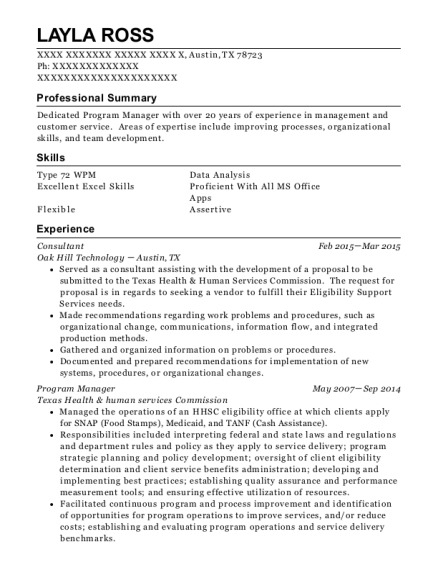 Use these resumes as templates to get help creating the best New South Wales Account Executive resume.